Applanix has released Version 5 of the company’s POS MV (Position and Orientation System for Marine Vessels), the next generation of its georeferencing and motion compensation system for hydrographic surveying. The system is available in three performance levels — POS MV WaveMaster, POS MV 320, and POS MV Elite — to produce an optimal solution for a variety of vessels and conditions. The Ontario, Canada–based company, a wholly owned subsidiary of Trimble, offers a range of products for precise positioning (air, land, and sea) that incorporate GNSS and inertial technologies. According to the company, the latest version expands the performance of POS MV with a number of key new features including: full GNSS support, increasing solution robustness by using all available GPS and GLONASS satellites, improved real time kinematic (RTK) performance over long baselines using the most advanced Trimble algorithms, and a removable USB media slot, providing convenient, portable and robust logging of GNSS and inertial observables for processing in POSPac MMS. 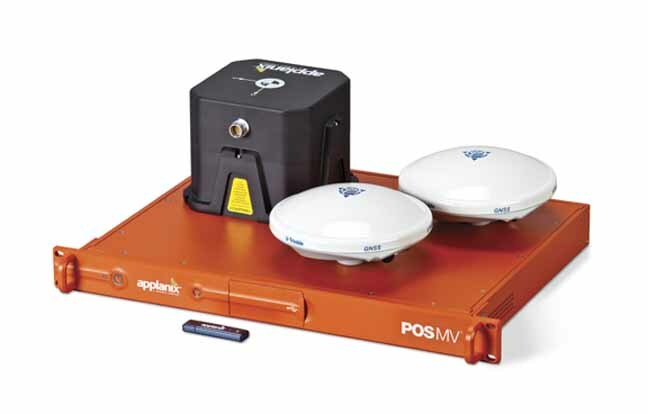 POS MV V5 is available now through the Applanix sales network. For more information about the system, visit the Applanix website.